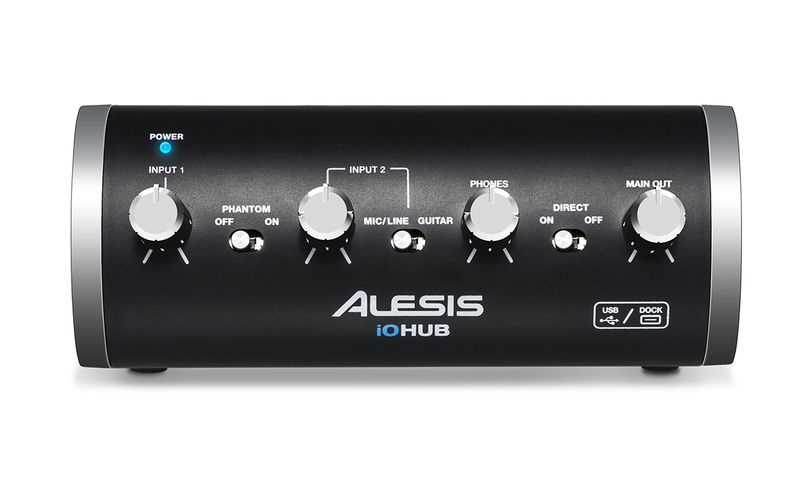 The Alesis iO Hub is a professional two-channel audio interface that empowers you to create anywhere. Made for traveling musicians and mobile producers, iO Hub enables you to record, lay down, and mix musical ideas with your Mac and PC whenever inspiration strikes. Its compact, portable design fits in your gig or laptop bag and leaves an ultra-small footprint in any recording or performing setup. Plus, a single USB connection provides power to iO Hub and plug-and-play connectivity; no power supply or additional drivers required. iO Hub can also connect to your iPad and other devices with the Apple iPad Camera Connection Kit (sold separately) for even more recording-platform flexibility. With two XLR+1/4" combo inputs, iO Hub can accommodate nearly any audio source: connect microphones, keyboards, guitars, basses, and much more to start crafting your song. Channel one features selectable 48v phantom power for tracking with condenser microphones, and channel two provides an additional switch that allows a guitar or bass to be connected directly to iO Hub. iO Hub supports stereo playback from your computer for professional mixing and monitoring. 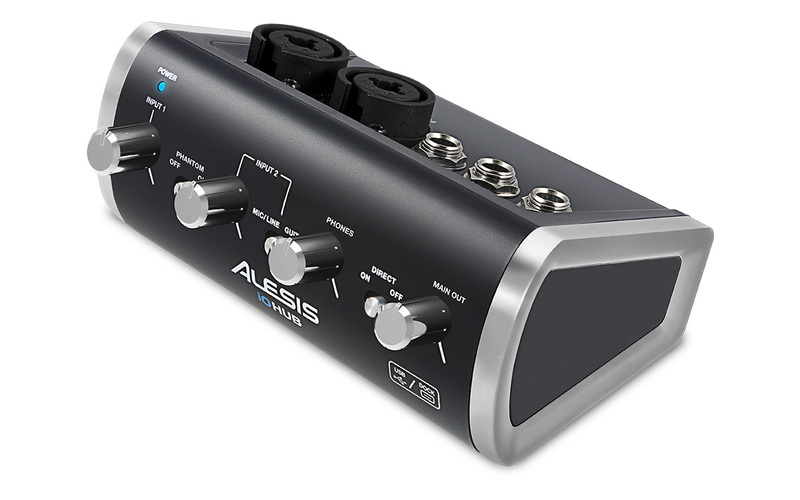 Connect its two 1/4" outputs directly to your active monitor speakers, amplifier, PA system, and use the direct switch for zero-latency monitoring of the input signal – ideal during session tracking, when adding overdubs, or laying down additional tracks. A stereo headphone output with a dedicated volume knob is also onboard for private recording and late-night mixing. Finally, a main-level control allows you to adjust the global volume, so you can mix and record at the optimal sound level. * Battery not included. Apple, iPad, and Mac are trademarks of Apple Inc., registered in the U.S. and other countries. All other trademarks contained herein are the property of their respective owners.